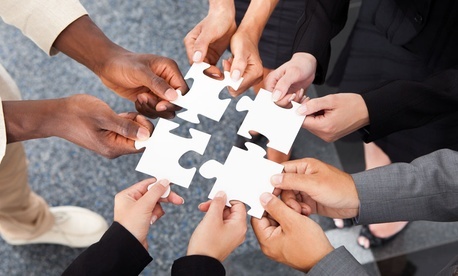 Does Diversity in the Workplace Help or Hinder Teamwork? Companies promote diversity in the workplace as a moral imperative with “bottom line benefits.” But research on the value of diversity is mixed. Some studies have found diverse teams—meaning workgroups comprised of employees of different races, genders, and backgrounds—promote creativity, nurture critical thinking, and tend to make better, more thoughtful decisions because they consider a wider range of perspectives. Other studies indicate diverse teams fuel interpersonal conflicts, reduce cohesion, and slow the pace of learning. Homogeneity, however, is not a baseline. My colleagues, Katherine Phillips at Columbia Business School and Jennifer Richeson at Northwestern University, and I recently sampled 240 research articles on group diversity. We found that while the vast majority of research pays no heed to the effects of homogeneity, it may play a profound—and at times negative—role in shaping group behavior. Studies show, for instance, that homogeneous groups tend to make oversimplified judgments that can result in over-confident, even objectively inaccurate, decisions. Take, for instance, one study that involved giving case information—potential clues to solve a murder mystery—to individuals assigned to either a homogeneous or diverse group. In diverse groups, people’s confidence about their group’s performance corresponded with how well their group actually performed. That is, diverse groups that identified the correct murder suspect reported higher levels of confidence than diverse groups who did not. People in homogeneous groups, on the other hand, tended to report high levels of confidence irrespective of how their group performed. In other words: homogeneous groups were further, not closer, than diverse groups to an objective index of accuracy. In a different study, participants were randomly assigned to all-white or racially diverse juries and asked to deliberate over the same trial. Results revealed that the all-white juries made more factually inaccurate statements and considered a narrower range of information when discussing a trial than did racially diverse juries. Why may homogeneous groups be more prone to make less accurate decisions, but feel more confident about them? One reason may be that homogeneity leads people to assume that other peoples’ behavior is more predictable than it actually is. People in homogeneous groups assume that because others look like them, they are like them in terms of having similar perspectives, knowledge, and values. This assumption of like-mindedness feels comfortable. We feel good when we think we’re around people like us. It happens in the school cafeteria, at cocktail parties, and also in hiring situations. But that sense of comfort comes at a cost. It creates blind spots in our judgments and decision-making. People in homogeneous groups seem to underestimate the potential for seemingly similar others to have substantively different perspectives, which can lead them to make oversimplified, perhaps even objectively inaccurate, decisions. It’s as though homogeneous groups operate on cruise control. Without people who look different, there’s no “social prompt” to snap team members out of their comfort zone and remind people there may be a different way of looking at an issue. Everyone goes on blithely presuming that all others are all thinking the same thing. It’s worth noting that the effects associated with homogeneity—lack of accuracy in processing information and an absence of objectivity in making decisions— hark back to one of the most widely-popularized phenomenon in the psychology of groups: groupthink. Groupthink scenarios traditionally are characterized as ones in which a group’s consensus-seeking tendencies detract from the quality or morality of their decisions. There is a distinct possibility that homogeneity plays an underappreciated role in producing some effects typically ascribed to groupthink. My point isn’t that diversity has no effects on behavior. Of course it does. But homogeneity does, too. Much more work remains to be done, but it may be that the strongest business case to be made for diversity in the workplace has less to do with what diversity adds, and more to do with what homogeneity takes away.